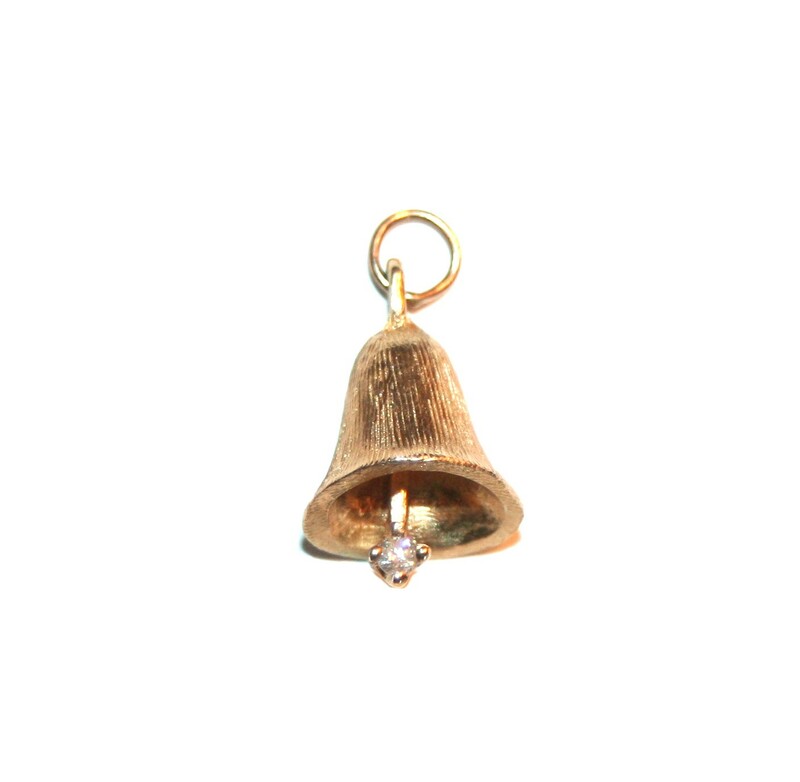 Estate charm with swinging diamond bell. Bell moves from side to side. While 3-dimensional, back is flatter to lay as a pendant charm.